Anyone who has the assignment of facing off with Anthony Joshua inside of the squared circle definitely has a daunting task ahead of them. Joshua, the heavyweight division’s reigning IBF/WBA champion, has stopped all 20 of his opponents inside of the distance and possesses power, size, and athleticism that is rarely seen in the heavier weight classes. Joshua is preparing for a big match, as he will be facing off with WBO champion Joseph Park on March 31 inside of the Principality Stadium in Cardiff, Wales. It’s one of the biggest and best fights to make in the heavyweight class, and the two men are no stranger to trading verbal banter online. 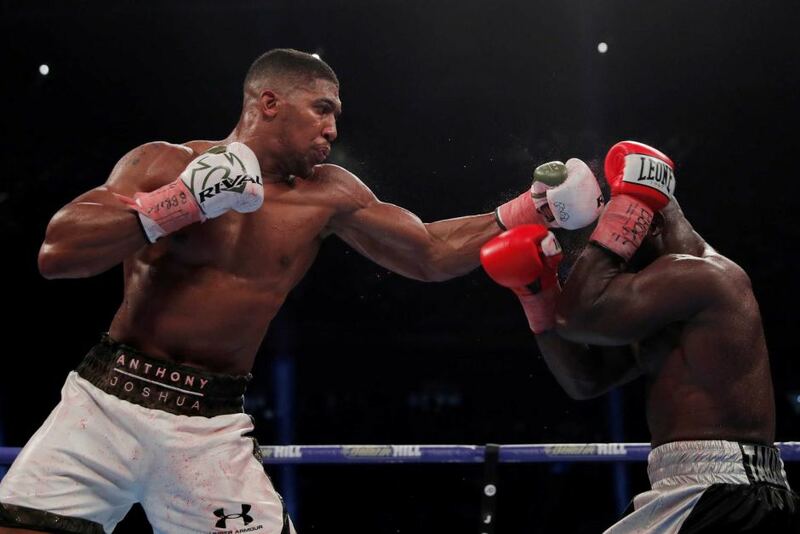 When it comes to the imposing, chiselled physique of Joshua, Parker admits that he has been keeping pace with Joshua’s “new training” techniques and can’t quite fathom why his rival gets tired late in some fights. Parker, meanwhile has been training in Las Vegas for the big contest, which will be featured live on Sky Sports Box Office and on SHOWTIME for American audiences. Joshua, who is training on his stomping grounds at Sheffield’s English Institute of Sport, recently posted to his social media a photo of his muscle-bound physique, which is always impressive, but Parker isn’t exactly overwhelmed. “When you watch him, when you see all the training, it’s like they are doing all this new training and it looks really hard, and it looks intense, and it looks the type of training that will prepare you for 12 rounds,” stated Parker. Definitely a salvo fired from Parker, who also spoke of his own conditioning. Parker has picked up valuable championship experience in his last three outings, as he has gone 12-round the distance with Andy Ruiz Jr., Razvan Cojanu, and Hughie Fury. The New Zealander’s trainer Kevin Barry suggests that his fighter may be able to run over Joshua late in the match if such conditioning issues arise. “I see videos posted everywhere of him doing the most sophisticated, new age training methods that man has ever seen and, yet he’s looked very tired in his last couple of fights,” said Barry of Joshua. Stay tuned for more updates on this excellent heavyweight title showdown. Tickets are on sale for the world heavyweight title unification blockbuster between Anthony Joshua MBE and Joseph Parker at the Principality Stadium in Cardiff on March 31.